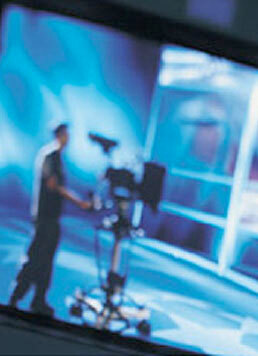 Oxford Media and Medicine runs bespoke media training courses to suit the needs of your business or organisation. Take a look at the options below and select the modules most pertinent to you. If you'd like a quote, please contact us. fine-tuning the message: sum up your case using concise and lively language; how to angle your information to your audience; how to speak in 20-second sound-bites to ensure that your quotes are actually used. managing your interviewer: getting your point across despite the interviewer's agenda; dealing with aggressive or hostile interviewers. trouble-shooting: what to do if you're not happy with the footage/quotes you've just given. How to watch your back when dealing with newspaper and television journalists. How to pull out of a news item/documentary - even after you've given written consent for footage to be used. Ways to re-direct the media spotlight when it all goes wrong. good storytelling: how to persuade an audience to care about what you're saying and about you. sounding authoritative: what to wear, body language, coping with nerves, voice work (tone/clarity/variety). get your company into the news: write a press release that won't be thrown in the bin; how to follow up the press release in a way that grabs rather than repels specialist journalists. handling newspaper journalists: getting the journalist 'on side'; angling what you say to fit the particular newspaper; ways to watch your back; how to talk about your company without sounding like a Press Relations stooge. get on radio: how to prepare for interview; ensuring your message gets across; getting your voice to work for you. live television: what to expect; coping with nerves; how to speak tele-visually; ensuring your key message gets across despite the interviewer. pre-recorded television interviews: tips for negotiating your role with producers. How to win over an audience. Practice personalising your performance without compromising your private life. Keeping the interviewer focused on what you want to talk about. handling the media in a crisis: keeping one step ahead in times of crisis. Controlling news output. Crisis management from within. Handling 'live' press conferences.